We will ship Etoricoxib 60mg instead. Valdecoxib minus the bad side effects, the name of the medication is etrocoxib majority of people who were earlier on Valdecoxib are using the new better medications. 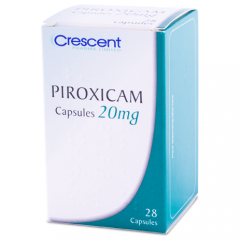 Possible Uses of Etoricoxib This medicine is a nonsteroidal anti-inflammatory drug ( NSAID) known as a COX-2 inhibitor used to relieve the symptoms of arthritis ( osteoarthritis, rheumatoid), and menstrual discomfort. This drug works by blocking the enzyme in your body that makes prostaglandins. Decreasing prostaglandins helps to reduce pain and swelling. 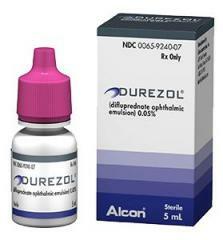 Before using Etoricoxib Some medicines or medical conditions may interact with this medicine. INFORM YOUR DOCTOR OR PHARMACIST of all prescription and over-the-counter medicine that you are taking. ADDITIONAL MONITORING OF YOUR DOSE OR CONDITION may be needed if you are taking an azole antifungals ( e.g., fluconazole, itraconazole, ketoconazole), blood thinners ( e.g., warfarin), ACE inhibitors ( e.g., captopril, lisinopril), water pills ( e.g., furosemide, hydrochlorothiazide), dextromethorphan, or lithium. USE OF THIS MEDICINE IS NOT RECOMMENDED if you have a history of kidney disease, or severe liver disease. Inform your doctor of any other medical conditions including asthma, nasal polyps, stomach problems ( e.g., bleeding, ulcers), liver problems, blood disorders ( e.g., anemia), heart disease, high blood pressure, tobacco or alcohol use, swelling problems ( fluid retention), dehydration, poorly controlled diabetes, any allergies - especially aspirin/NSAID allergy ( e.g., ibuprofen, celecoxib), pregnancy, or breast-feeding. Contact your doctor or pharmacist if you have any questions or concerns about taking this medicine. How to take Etoricoxib Follow the directions for using this medicine provided by your doctor. This medicine may be taken on an empty stomach or with food. Precautions When Using Etoricoxib DO NOT TAKE THIS MEDICINE IF YOU HAVE HAD A SEVERE ALLERGIC REACTION to aspirin or any medicine containing aspirin or to a nonsteroidal anti-inflammatory drug ( such as Feldene, Motrin, Naprosyn, Clinoril), or sulfa medicines ( e.g., sulfonamide antibiotics). A severe reaction includes a severe rash, hives, breathing difficulties, or dizziness. If you have a question about whether you are allergic to this medicine or if a certain medicine is a nonsteroidal anti-inflammatory drug, contact your doctor or pharmacist. IF YOU EXPERIENCE difficulty breathing; tightness of chest; swelling of eyelids, face, or lips; or if you develop a rash or hives, tell your doctor immediately. Do not take any more doses of this medicine unless your doctor tells you to do so. DO NOT EXCEED THE RECOMMENDED DOSE or take this medicine for longer than prescribed without checking with your doctor. KEEP ALL DOCTOR AND LABORATORY APPOINTMENTS while you are using this medicine. ALCOHOL WARNING: If you consume 3 or more alcoholic drinks every day, ask your doctor whether you should take this medicine or other pain relievers/fever reducers. This medicine may cause stomach bleeding. BEFORE YOU BEGIN TAKING ANY NEW MEDICINE, either prescription or over-the-counter, check with your doctor or pharmacist. This includes any medicines that contain aspirin, ibuprofen, naproxen, or ketoprofen. Aspirin as prescribed by your doctor for reasons such as heart attack or stroke prevention ( i.e., non-arthritis doses) should be continued. FOR WOMEN: IF YOU PLAN ON BECOMING PREGNANT, discuss with your doctor the benefits and risks of using this medicine during pregnancy. THIS MEDICINE SHOULD NOT BE USED during the third trimester. IT IS UNKNOWN IF THIS MEDICINE IS EXCRETED in breast milk. DO NOT BREAST-FEED while taking this medicine. Side Effects of Etoricoxib SIDE EFFECTS that may occur while taking this medicine include stomach upset, nausea, diarrhea, or headache. If they continue or are bothersome, check with your doctor. CHECK WITH YOUR DOCTOR AS SOON AS POSSIBLE if you experience swelling, unusual tiredness and weakness, or weight gain. CONTACT YOUR DOCTOR IMMEDIATELY if you experience swelling of hands, face, lips, eyes, throat, or tongue; difficulty swallowing or breathing; hoarseness; flu-like symptoms; sluggishness; yellowing of the skin or eyes; dark urine or pale stools; or unusual fatigue, change in amount of urine, dizziness, or blurred vision. CONTACT YOUR DOCTOR IMMEDIATELY AND STOP TAKING THIS MEDICINE if you notice any of the following unlikely but very serious side effects: black stools, persistent stomach/abdominal pain, or vomit that looks like coffee grounds. If you notice other effects not listed above, contact your doctor, nurse, or pharmacist. Drug Interactions of Etoricoxib Drug interactions can result in unwanted side effects or prevent a medicine from doing its job.Inform your doctor about all the medicines you take with and without a prescription. Storage of Etoricoxib Store at room temperature away from sunlight and moisture. Keep this and all medications out of the reach of children. Other Information of Etoricoxib DO NOT SHARE THIS MEDICINE with others for whom it was not prescribed. DO NOT USE THIS MEDICINE for other health conditions. KEEP THIS MEDICINE out of the reach of children.